New Delhi : Due from long time Goods and Services Tax (GST) Bill passed in Parliament, making a historic step in tax reform. Prime Minister Narendra Modi intervened in between and claimed this will end tax terrorism and also reduce corruption and black marketing. 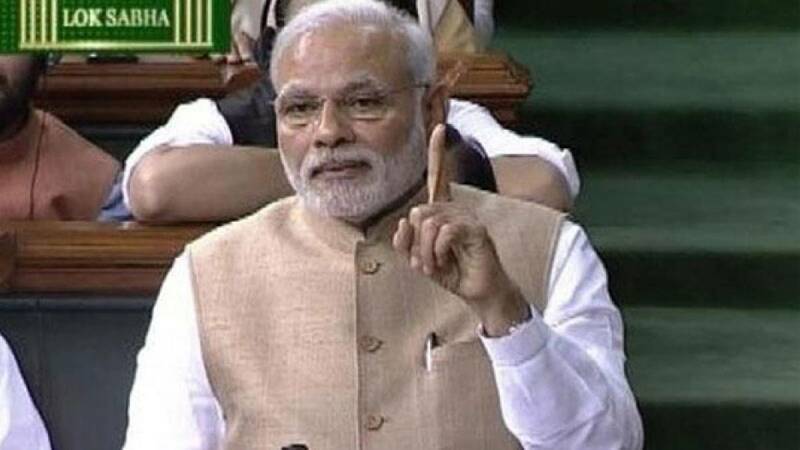 The GST Bill will make consumer the king, said PM Modi while thanking all the parties for showing their support. # On Monday, GST Bill was tabled in Lok Sabha and almost all voted in favour of the bill. # PM Modi intervened and quoted benefits of the bill which will end up in making consumer the "King". # The Constitution Bill, was earlier tabled in Lok Sabha then went to Rajya Sabha and then came back in lower house to make changes suggested by upper house in last week discussion. # The government had moved six official amendments, including scrapping of 1 per cent additional tax, to the bill which were approved by the Upper House. # After a six-hour debate, the Lower House passed the bill with all the 443 members present voting in favour after AIADMK members staged a walkout while opposing the measure.